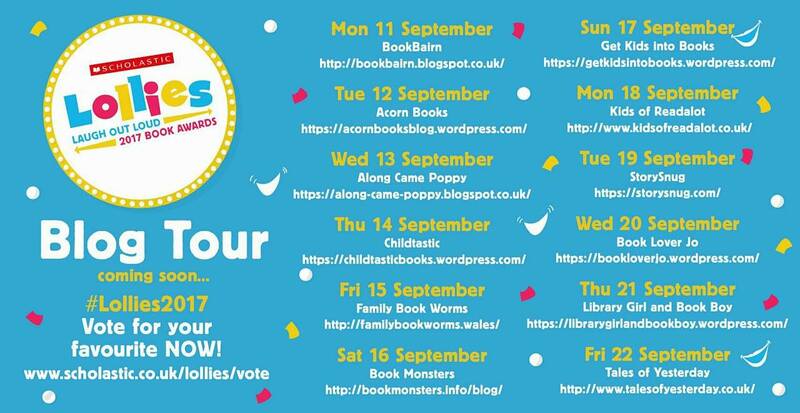 Today I’m delighted to welcome Bryony Thomson to the blog as part of ‘The Wardrobe Monster’ blog tour. 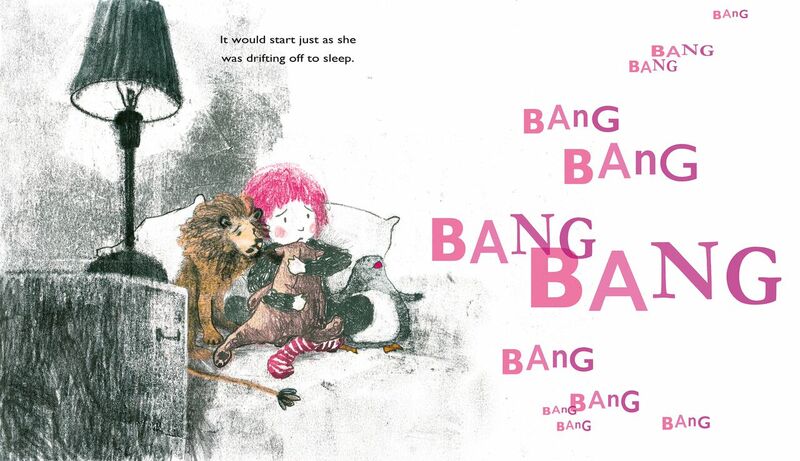 Bryony’s debut picture book is a gentle tale about the things that keep children awake at night. 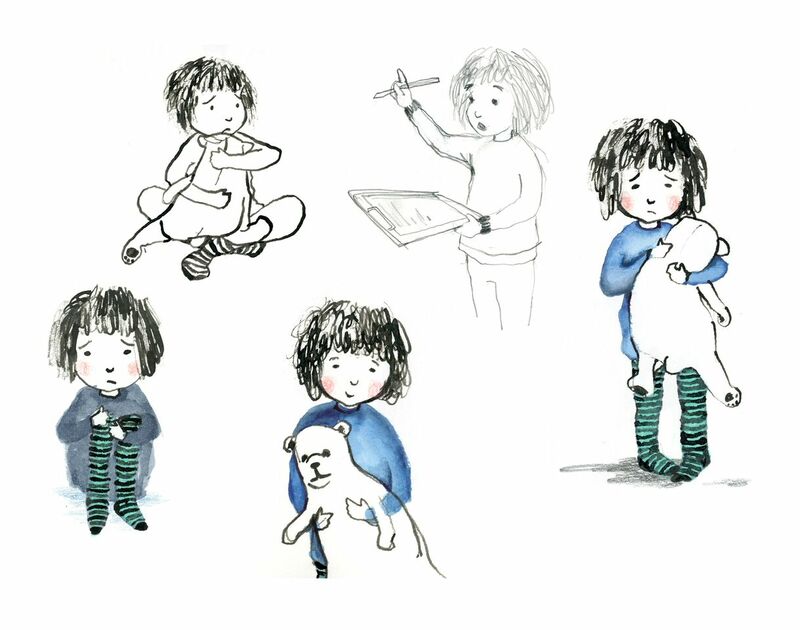 Every night, Dora and her toy friends hear a knocking sound coming from the wardrobe and they’re afraid to go to bed and every morning they are grumpy through lack of sleep. 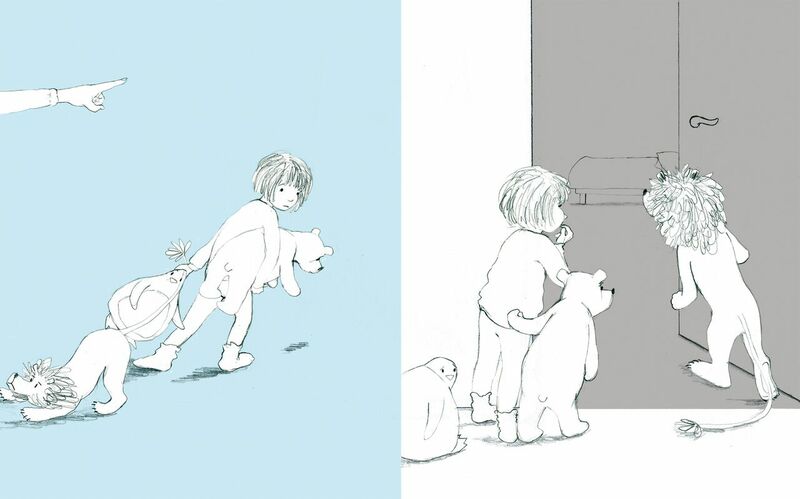 Eventually, they summon up the courage to face their fear together and open the wardrobe door…what falls out provides a humorous and reassuring story for all children who imagine monsters in the darkness. 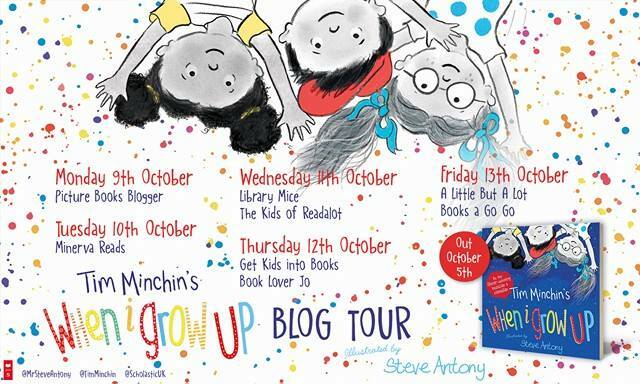 With a sympathetically drawn cast of characters, Bryony taps into a childhood fear and converts it into a tale of mutual support. 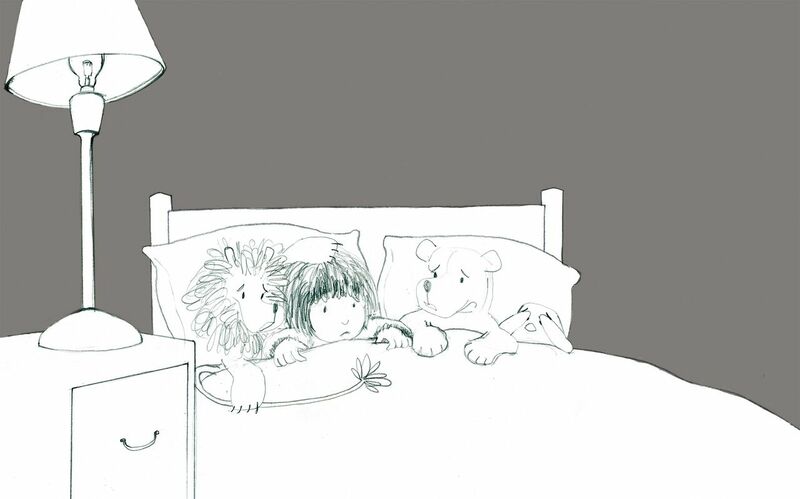 Sublimely illustrated and beautifully told, this story offers reassurance to children who may worry about noises and darkness at bedtime. The idea for The Wardrobe Monster was floating around in my head for quite a while before I managed to get anything down on paper. 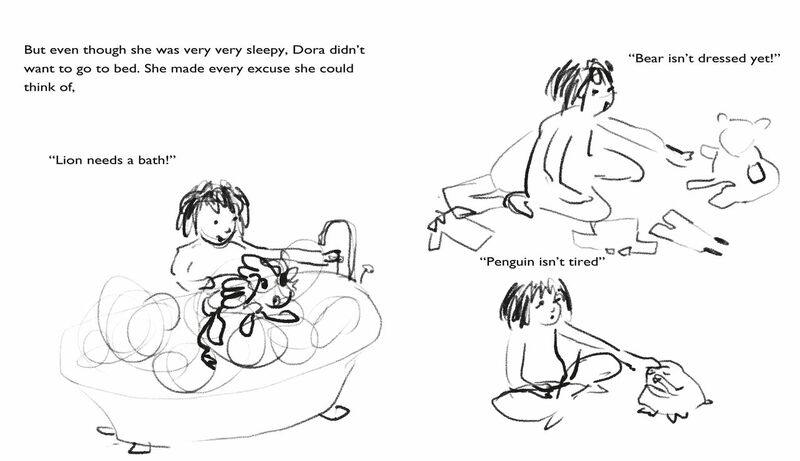 It began with some doodles of the main character, Dora, not with any constructive purpose but just because I was continually mulling the story over in my head. In those first few drawings she wasn’t pink haired but this was something that became a fixture very early on in the artwork. 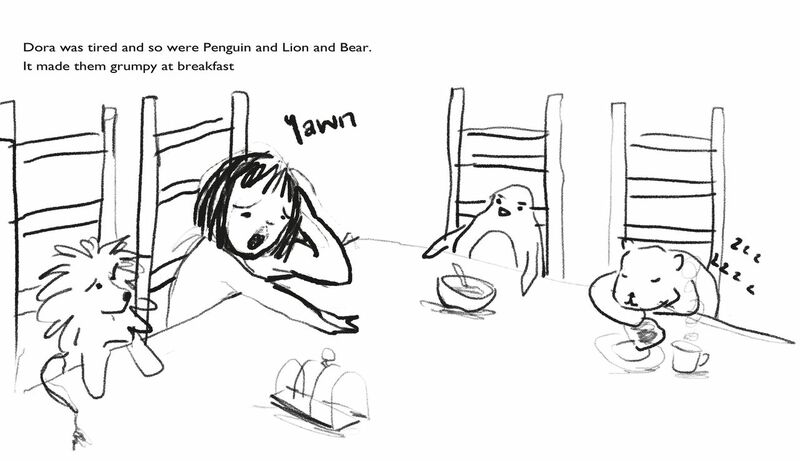 I then began to work on the actual story; this process generally involves writing first, along with some very messy drawings that are only intelligible to me. I end up with loads of tiny scraps of paper floating around the house, my car, my handbag, you name it there’ll be a part of the story there! 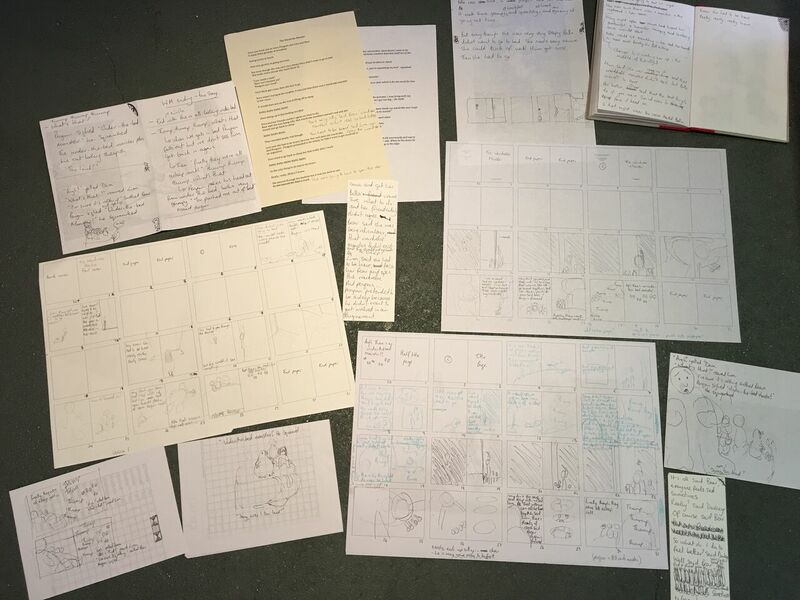 I sometimes find that it’s best initially not to sit down at my desk and try and write the story from beginning to end but rather to let it sneak up on me – hence the paper jumble! Once I had collected together my multiple bits of paper I was able to form a more complete script. By that point I felt like I had a good grasp on the story and a really clear idea had formed in my head of what one of the main spreads was going to look like and so I started to experiment with the artwork for that page. I find it helpful to do this quite early in the process as it enables me to get to know the characters better and I can start to imagine what the rest of the story will look like. 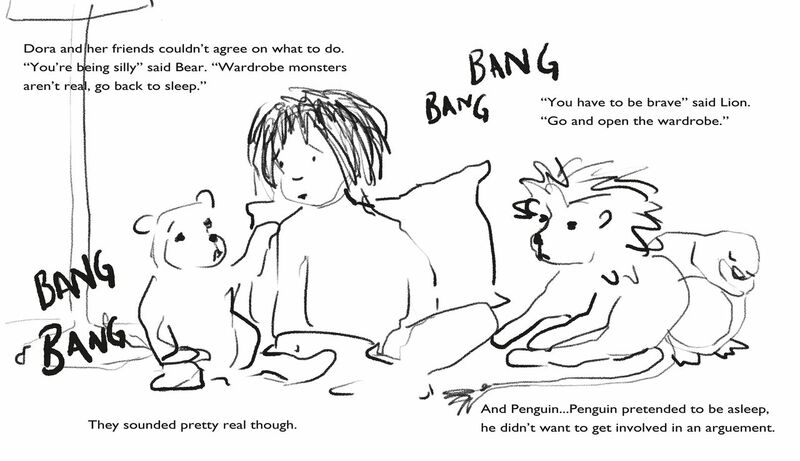 With a piece of artwork under my belt I then went back and did rough drawings for the rest of the book, placing the text alongside them so I could see everything working together. It was at this point that I approached Ruth at Old Barn Books and thankfully discovered she liked the story! 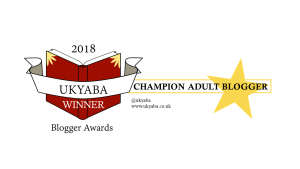 The process of working with Old Barn has been really great as they are very willing to listen to my ideas and have been really supportive of my overall approach. Much of the text and image compositions have stayed the same as my original dummy, the main change being the ending. The story originally ended on the “THUMP” page and Ruth made the very valid point that this is way too scary! Since she pointed this out I have come to appreciate that in children’s books, and picture books especially there needs to be a resolution as open ended questions create too much uncertainty; the audience needs to know that everything really is going to be ok in the end. Once the ending had been resolved I then worked mainly with the designer, Mike Jolley, on the layouts, detailed roughs and finally finished artwork. Working with Mike was absolutely brilliant as he has so much experience with picture books and is a very reassuring presence! As a first time author/illustrator it was great to know that there was someone out there that I could call or email at any point with the most stupid question or problem; he was also great for bouncing ideas off as he really understood what I was trying to achieve. Mike handled all the text for the book, including the large, more pictorial “BANG’s” and “THUMP’s” as this was something I wasn’t overly confident doing and didn’t really feel I had the necessary skill set for; the end result looks great and really fits with the imagery. Once the first draft of the artwork was complete there were then a few tweaks to be done, such as to the cover and minor changes to the wardrobe and then it was off to print; before I knew it the final book was arriving in the post – a totally surreal experience! 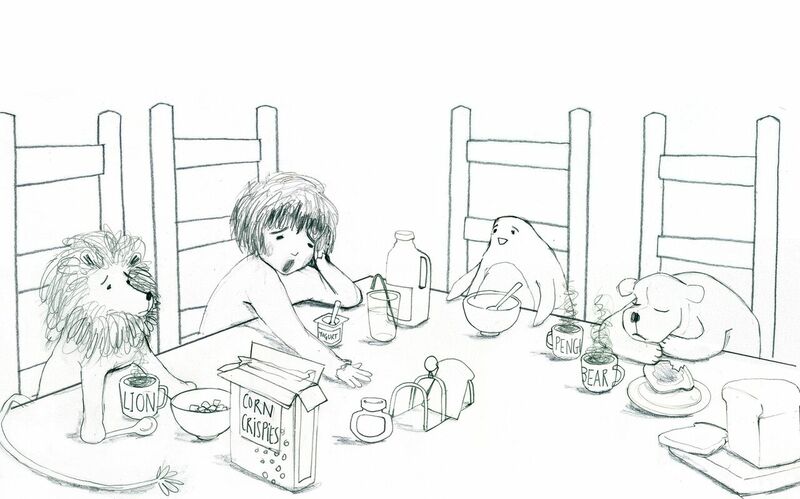 Thank you to Briony for a really interesting guest post, I really love seeing the development of a picture books from initial idea, to roughs, right the way through to the final creation. 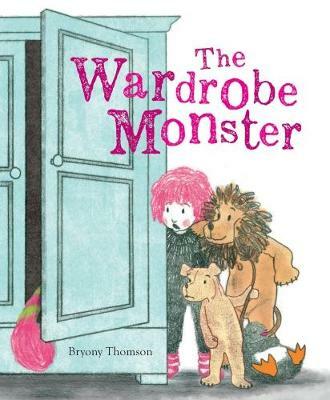 ‘The Wardrobe Monster’ is released on the 5th April and is available to pre-order online or from any good bookshop. 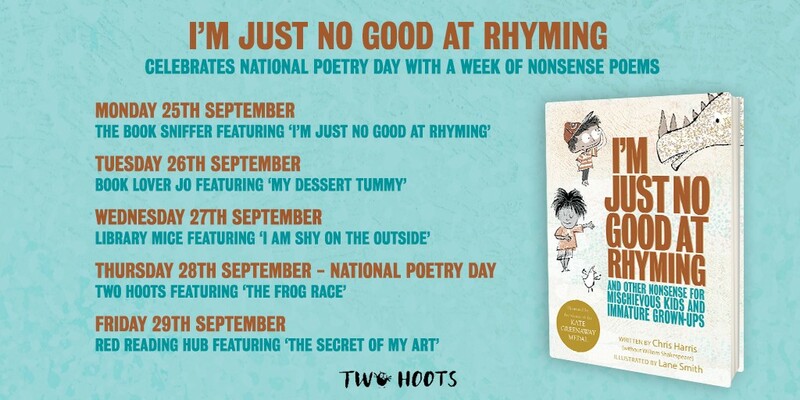 Thank you to Old Barn Books for sending me a copy of this delightful picture book and inviting me to join in with the blog tour. 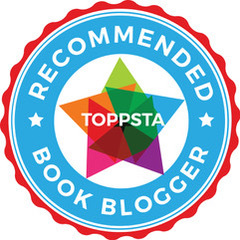 This entry was posted in Uncategorized on April 4, 2018 by bookloverjo.